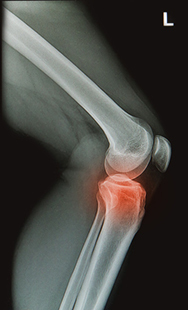 Did you know that nearly one in two people may develop osteoarthritis of the knee by age 85? It’s the number one musculoskeletal complaint I hear in the over-50 group. Prolozone therapy works great. But even Prolozone therapy is not 100%. And then there are other problems. For one, not everyone has access to a doctor who has been trained in Prolozone. Of course, there’s always surgery. But surgery is no guarantee. And what about patients who are poor surgical risks? About all they can do is take NSAID drugs for the problem. But NSAIDs (Celebrex, ibuprofen, naproxen, etc.) have some serious side effects when taken on a regular basis. So what if there was a safe, non-drug alternative to NSAIDs that worked just as well as the drugs? It turns out that there just might be one to fit that bill. A study published just a few years ago – and seemingly overlooked by many (including me) – took a new look at an old Thailanese herb derris scandens. People in Thailand have used derris scandens for years as a pain reliever. But does it really work? Or is it just a misguided folk remedy? The researchers looked at 107 men and women who were suffering from knee pain secondary to osteoarthritis. All of them had a WOMAC (Western Ontario McMaster Osteoarthritis Index) pain score ≥=5. The researchers gave half of them the NSAID drug naproxen at 500 mg/day. This is a substantial dose of the drug. They gave the other half 800 mg of an extract of derris scandens. The study went on for four weeks. Here are the amazing results. There was no difference between the WOMAC scores in both groups. The derris scandens extract worked just as good as the drug. The only difference that the researchers noted was that the naproxen group complained of more side effects than the derris group. You can find Thailand-produced derris scandens on the Internet. It usually costs around $16, which gets you 100 capsules with 200 mg each. For most people, the dose would be one capsule, four times daily. 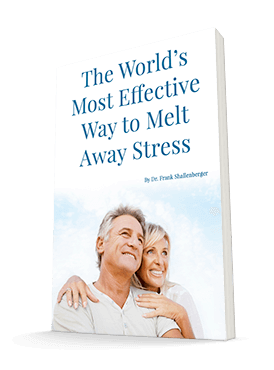 For many of you, it will work just as well as the drugs you are on with none of the dangers. REF: Kuptniratsaikul V, Pinthong T, Bunjob M, et al. Efficacy and safety of derris scandens benth extracts in patients with knee osteoarthritis. J Altern Complement Med. 2011 Feb;17(2):147-53.